We’ve been doing a lot of custom wallpaper at the new Hookset rest areas along I93. 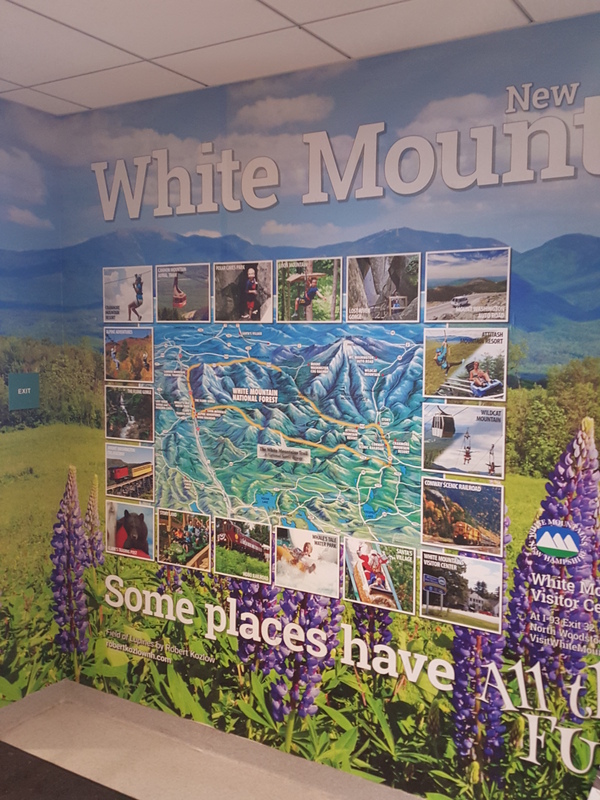 They’ve got plenty of empty walls, and they are filling them up with wallpaper that advertises things to do while in the White Mountains. Not only does it make the rest area colorful, it brings customers to the advertisers. In this wall mural, you see a map of the area and pictures of all the places to stay, shop, eat and be entertained. It gets lots of attention! When you have a big blank wall, think about using a custom wall mural to turn it into a revenue stream like they are doing in Hookset! This entry was posted in Custom Printed Wallpaper and tagged custom wall mural, wallpaper advertising, wallpaper branding, wallpaper murals. Bookmark the permalink.